CHARACTERISTICS: A ruby is a pink to blood-red colored precious gemstone. It is a variety of the mineral corundum (aluminum oxide). It is one the so-called cardinal gems along with amethyst, sapphire, diamond and emerald. The color of the ruby is due to the element chromium. The quality of the ruby is determined by it’s color, clarity, cut and carat weight. The brightest and most desirable shade of red is called blood-red or pigeon blood. Ruby is known for its rarity, monetary value and hardness (second only to diamond). The most valuable Ruby is called the Sunrise Ruby, which is named after a poem written by Sufi poet, Rumi. NATURAL OCCURANCE: For centuries the Mogok Valley in Myanmar was the world’s main source of rubies. In more recent years only a few good rubies have been found there. In the 1990’s other areas of Myanmar have emerged to become reliable sources of fine rubies. Historically rubies have also been mined in Cambodia, Thailand, India, Japan, Scotland, Australia, Brazil Colombia, Namibia and Afganistan. After WWII, ruby deposits were found in Madagascar, Pakistan, Tajikistan, Vietnam, Nepal, and Tanzania. HISTORICAL USES: Ruby has always been a talisman of protection, prosperity and passion. Its rich color and glow suggest an inextinguishable flame within the stone. Legends claim that it would shine through even the thickest cloth. Ancients believed it could ward off pestilence, plague and warn the wearer of impending danger. It was also used to banished sadness and foolish thoughts. 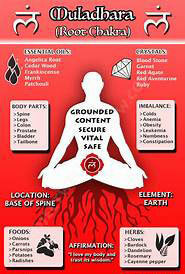 MODERN USES: Today many healers and energy enthusiasts use Ruby to stimulate the Base (first) Chakra center. It increases vitality and energy, stimulating blood flow, stirring the heart and increasing concentration and motivation. 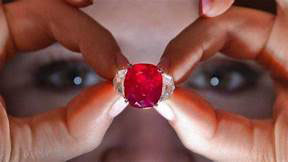 Ruby is still thought to be a bringer of prosperity and we see the wearer of such a magnificent stone as having wealth. 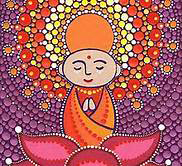 SPIRITUAL USES: Our environment is so very rich in elements and energies that can serve us if we allow it. There are so many fine symbols that can help focus the mind and ease tension and upset. 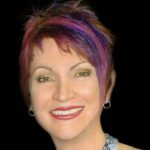 Even visualizing a symbol or element can bring in the energy and balance we may need at any point in time. 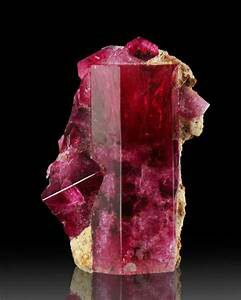 If you are feeling lethargic, physically or mentally, hold a Ruby (raw or polished) in front of you. 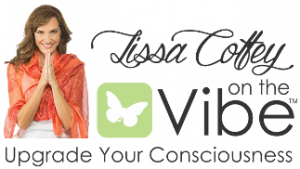 Focus on the rich color and steady power within. See how the light generates and glows within the stone. Now place the ruby in your base chakra. Allow the royal red to spin clockwise in the Chakra, spinning and growing until it becomes all that is around you. Sit in the powerful force and vibrant waves of energy. You will be strengthened in this place.